2000 Guineas favourite Too Darn Hot was the notable absentee from the Greenham Stakes but that left others to stake their claims for the classic and winner Mohaather (116 from 110p) would be worth his place in the line-up at Newmarket. 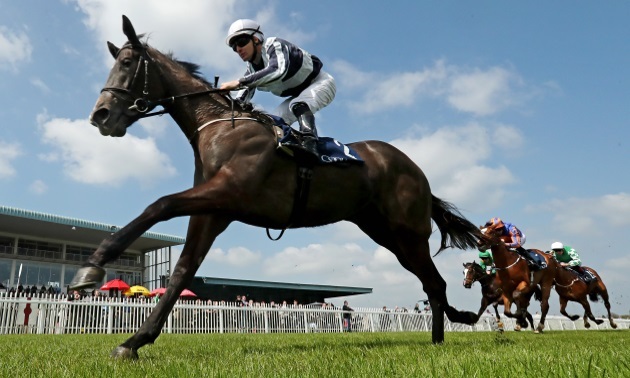 A mile is likely to be the limit of Mohaather’s stamina, though, and there’s a quirky side to him, but a beating of fellow Guineas entries Great Scot (114 from 111), a close fifth in the Futurity Trophy last year, and Urban Icon (108p from 99p), winner of both his starts at two, represents further improvement on his surprise win in the Horris Hill here last season. The Fred Darling Stakes for fillies, on the other hand, tends to take a lot less winning than the colts’ equivalent, and that was the case again this year when Rockfel Stakes runner-up Dandhu (104 from 101) prevailed in a tight finish with Iconic Choice (104 from 98). 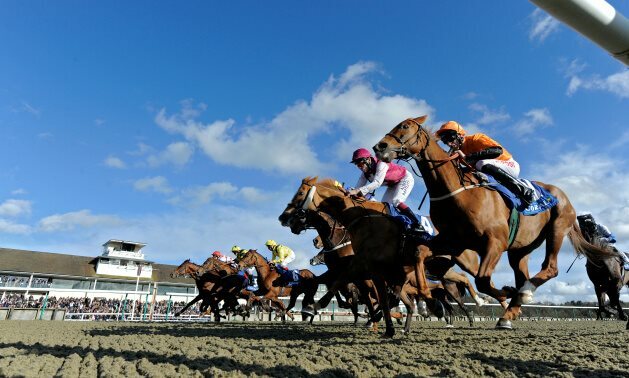 Friday’s card at Newbury threw up a couple of three-year-old winners who can go on to betting things. Happy Power (112p from 99p), one of our Fifty To Follow, looks a group horse in the making after a five-length victory in the seven-furlong handicap, while Dante/Derby entry King Ottokar (108p from 93p) looks a smart prospect after running out the comfortable winner of the useful conditions race over a mile and a quarter. Melbourne Cup runner-up Marmelo (123) swooped late to land the John Porter Stakes without having to run up to his best form over longer trips, but the big improver here was runner-up Aspetar (119 from 111), a four-year-old who hasn’t had much racing, trainer Roger Charlton suggesting afterwards that ground conditions will dictate future plans (unraced on ground firmer than good). Other smart performances from older horses at Newbury came from Stake Acclaim (114 from 109), who was the outsider of the field in the five-furlong handicap after missing the whole of last season but returned to form in good style. Chatez (115 from 106) is another who has had a rather stop-start career, but he does go well fresh as he proved again when winning the Spring Cup from a career-high mark. Neck runner-up Indeed (109 from 96), a French import making his debut for Dominic Ffrench Davis, nearly pulled off a 50/1 shock, doing easily best of those drawn high, and he’s one to be interested in next time. 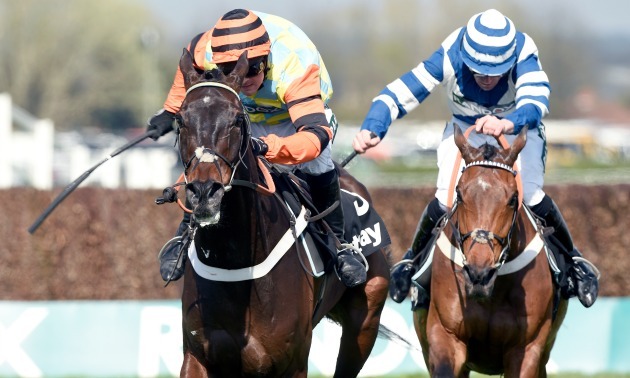 Chatez’s win at Newbury was some compensation for trainer Alan King opting to withdraw favourite Dingo Dollar from the Scottish Grand National where top weight Beware The Bear was another of the late absentees due to the rapidly drying conditions at Ayr. The race was run at a strong pace as a result of the ground firming up, and Takingrisks (137 from 132), who survived a blunder at the first, proved well suited by his first crack at an extreme distance, with a good run from the Eider winner Crosspark (142 from 138) in second. Novices Cloth Cap (133p from 132p) and Blue Flight (147p from 146) completed the frame, the last-named conceding plenty of weight to those who beat him and deserving extra credit for coming from further back than ideal. 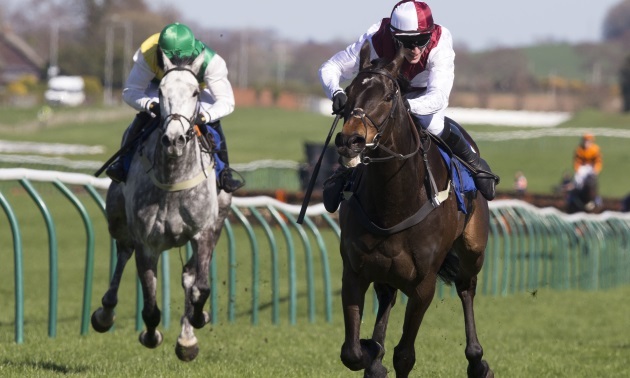 One for whom the drying conditions at Ayr proved absolutely ideal was Verdana Blue (159 from 153) who supplemented her Christmas Hurdle win over stable-companion Buveur d’Air with an emphatic success here off top weight, though with good-value conditional Connor Brace taking 7 lb off her back. The highest-rated winner of the race since Mister Morose in 2000, Verdana Blue’s performance was backed up by a high-class figure on the clock. There were smart performances from other winners on the card, with Secret Investor (147p from 145+) ending his season strongly by providing Paul Nicholls with another win in the Future Champion Novices’ Chase. Dan Skelton continued his march towards a double-century for the season, with a breathing operation and some lenient handicapping helping Azzuri (144, having been a query) return to form with a vengeance in the listed two-mile handicap chase and Molly The Dolly (144p from 140p) making it three out of four over fences in the valuable novices’ handicap chase. Back on the Flat, and looking further afield, Breeders’ Cup Turf runner-up Magical (128) made an impressive return to action when running away with the Group 3 Alleged Stakes at Naas, with two more Group 1 winners from last season, Flag of Honour (123) and Latrobe (119), winners of the Irish St Leger and Irish Derby, chasing her home. 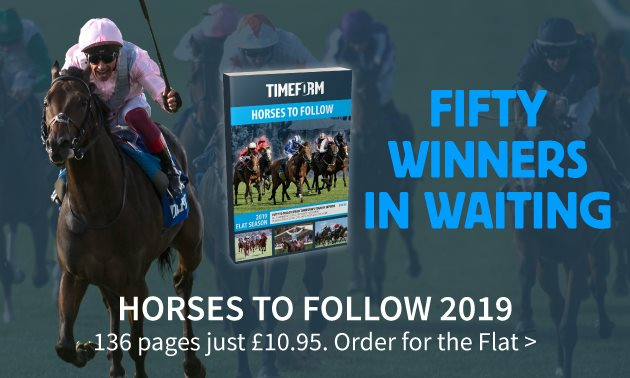 None of those three ran up to their best form on their returns, but where the winner is concerned it promises plenty for her four-year-old season that she put up such a good effort (ran to 123 here) this early in her campaign. 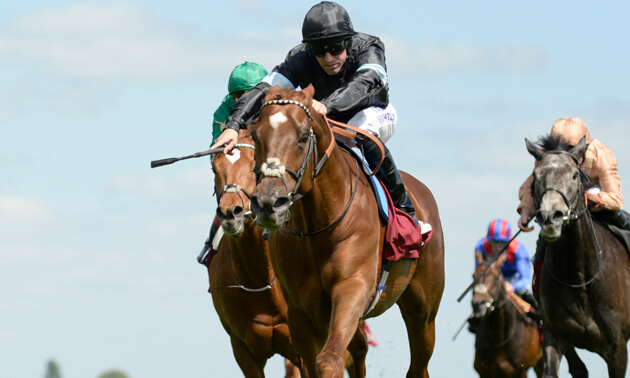 Meanwhile, the top French two-year-old from last season Persian King (120p from 117p) made short work of his rivals in the Group 3 Prix de Fontainebleau at Longchamp with a five-length victory. 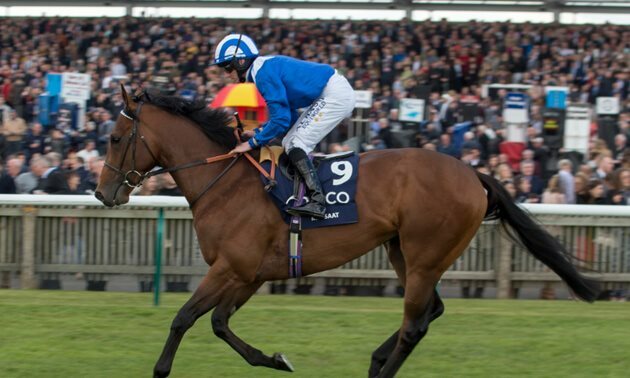 It’s ‘not impossible’ that he’ll go back to Newmarket (already a winner there last year) for the 2000 Guineas rather than the French equivalent according to trainer Andre Fabre.